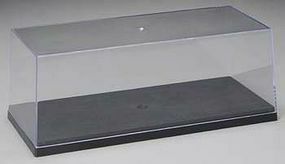 Shop online for over 200 amt plastic models at discounts up to 60%. 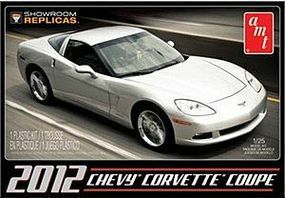 Cars / Trucks / Vehicles is the most popular of the 7 amt plastic models categories, then Parts/Acc., and Space. This is the 1/25 Scale M&H Racemaster Dragster Slicks Tires from AMT. 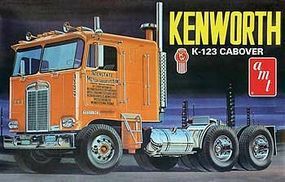 This is the 1/25 Scale Kenworth K-123 Cabover Plastic Model Truck Kit by AMT. 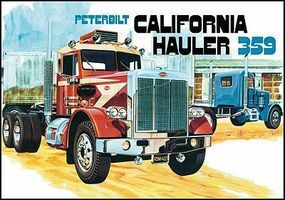 This is the 1/25 Scale Peterbilt 359 "California Hauler" Conventional Plastic Model Kit from AMT. Suitable for Ages 12 & Older. 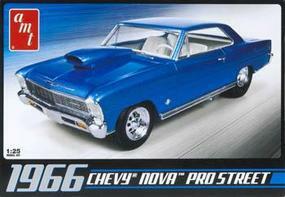 This is the 1/25 Scale 1967 Chevy Chevelle Pro Street Plastic Model Kit from AMT. Suitable for Ages 10 & Older. This is the 1/16 Scale 1955 Chevy Nomad Wagon Plastic Model Kit from AMT. Suitable for Ages 12 & Older. This is the 1/25 Scale 1949 Ford Coupe Gas Man Plastic Model Kit from AMT. Suitable for Ages 10 & Older. This is the 1/25 Scale Shell Tanker Trailer Plastic Model Trailer Kit by AMT. This is the 1/25 Scale 1957 Chevy Bel Air Plastic Model Kit by AMT. Suitable for Ages 10 & Up. This is the 1/25 Scale International Transtar 4300 Eagle Plastic Model Kit by AMT. Suitable for Ages 12 & Up. This is the 1/25 Scale Kenworth W925 Conventional Plastic Model Kit from AMT. Suitable for Ages 10 & Older. This is the 1/25 Scale 1955 Chevy Bel Air Sedan Plastic Model Car Kit by AMT. 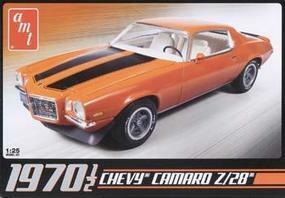 This is the 1/25 1970 Chevy Monte Carlo Plastic Model Car Kit from AMT. This is the 1/25 Scale 1941 Plymouth Coupe Plastic Model Car Kit by AMT. This is the Wild Wheels & Wide Ovals Tire Pack (4ea) by AMT. 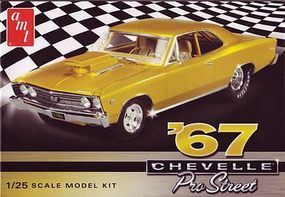 This is the 1/25 Scale 1968 Shelby GT-500 Plastic Model Kit by AMT. Suitable for Ages 10 & Up. This is the 1/25 Scale 1978 Ford Pickup Plastic Model Kit from AMT. Suitable for Ages 10 & Older.